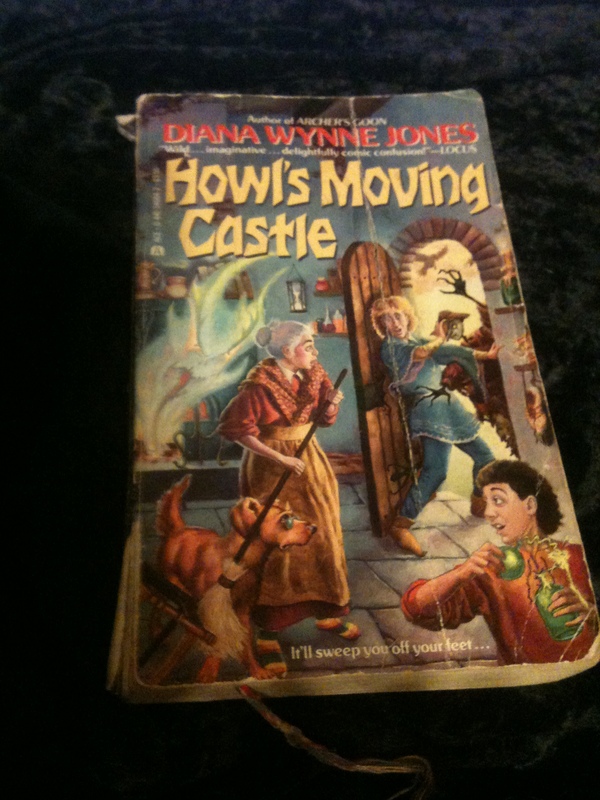 Howl’s Moving Castle by Diana Wynne Jones has been one of my favorite books since I first bought it with my very own allowance in 1989. I braided a red, white, and blue bookmark and taped it into the back of the book. I went through with my pencil and marked out the word ‘hell’ because it was a naughty word and I wasn’t allowed to say it. I still have that copy. I also have a more recent edition as well as its two sequels; Castle in the Air and House of Many Ways. I even have all three as audiobooks. So, I’m obviously a big fan of the series. I reread Howl’s Moving Castle probably ever 18 months or so. It’s a slender book, so rereading takes me a day or two at the most. My most recent visit to the land of Ingary was conducted via audiobook so I had a brilliant 8 and a half hours with the characters and the whimsy that makes a Diana Wynne Jones book unmistakable. Our intrepid heroine is Sophie Hatter, the eldest of three sisters. As everyone knows, it is always the youngest of three siblings that has the best chance in the world. All the best storybooks say so. Therefore, Sophie resigned herself to a life working in her family’s hat shop and generally not amounting to as much as her beautiful younger sister Lettie who apprenticed to a baker, or their youngest sister Martha who was apprenticed to the witch of Upper Folding. But fate, and the Witch of the Waste have other plans for Sophie. The Witch, annoyed that Sophie is interfering with some dastardly doings curses Sophie with an age spell. The now 90 year old Sophie decided to set off to seek her fortune, because she can’t stay home looking like that now can she? This puts her directly into the path of the Wizard Howl, the fiend who lives in a moving castle and eats young girls’ hearts. Or so all the aunts of Sophie’s acquaintance claim. Reasoning logically that if Howl is interested in young girls she shall be quite safe Sophie moves into his castle as the new cleaning woman. She shortly discovers that in addition to quite the least tidy castle in the world she must deal with spells, scarecrows, curses, green slime, love, mandrake roots, fire demons, shooting stars, mending and great quantities of dirt. It’s really quite enough to make her mad as a hatter. This book remains one of my favorites and one of my favorites to sell. There is something for most fantasy lovers and Sophie is a great character for a young girl to get involved with. I’ve sold it a few times this holiday season, usually to grandmothers looking for something for an eldest granddaughter. The two sequels make it good for fast readers since there is more of the world to explore after the first story is over. There is a film. Hayao Miyazaki and Studio Ghibli put out an animated version in 2004. This version is very different from the book, but is still a magical story. 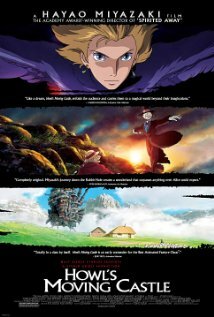 Many of Miyazaki’s recurrent themes about pollution and war can be found in the film, but they dovetail fairly well with the framework provided by Wynne Jones. I highly recommend the movie, but, as usual, I urge that the book be read first.